for tours, activites, rentals,charters, shuttles & tickets. What makes us different from our competitors? Our unique, free online booking system is comparable to none! Allowing you to accept online bookings through your own website, there is no set-up charge and no minimum period contract. All we ask is a low commission on every booking you take. Want to try our system for a month? In the unlikely event you don't take any bookings through it, there's no charge! Why not try it out today? Booking Buddha's online booking engine has a bespoke back-end manager. It's basically your diary and bank account rolled into one. As our system helps you to organise your business, it significantly streamlines the admin side of running a company! Allowing you to fully manage your business from your laptop or PC. 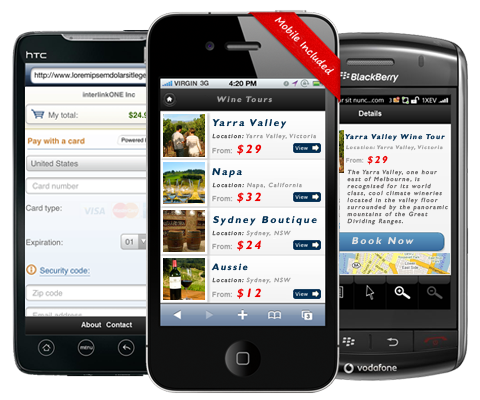 >Your customers can visit your booking page using there mobile phone. Booking Buddha's booking engine software fully integrates with your already-existing website and social media pages. By adding your new booking system onto your already established sites, you can maximise your visitor to follow-through client base. Our system is integrated to look exactly like your site - meaning your customer will feel at ease booking online with your trustworthy new facility. 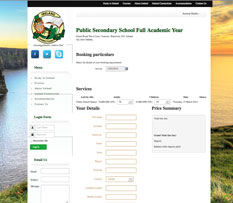 By adding an online booking system to your sites, you enable all those likes and followers to book in with you 24/7. We currently offer Facebook applications, Joomla and WordPress plug-ins, Google Maps integration and YouTube integration. Looking for your favourite social media site but can't find it here? Contact Us and we can help you. 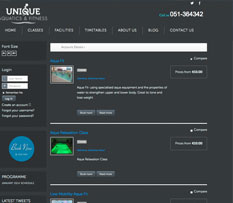 Check out some of our clients already using the Booking Buddha System. Launched to assist students from all over the world to come and study many coarses in Ireland, Ireland Connections uses our system to allow these students to book courses during their stay here on the Emerald Isle. 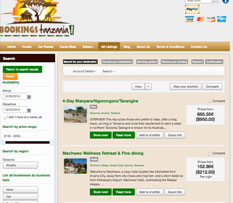 Bookings Tanzania was launched by a Tanzanian native living here in Ireland to promote his home country. Our booking system allows visitors to book the all inclusive package for the holiday of a lifetime. 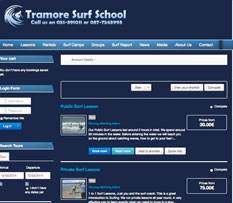 Tramore Surf School was established in 2004 and since then has grown to be the most prominent and well respected in Tramore. Using our booking system has allowed them to become the best and busiest in the south east. 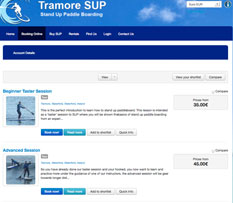 We are really thrilled to be the first surf school in Tramore to be offering SUP lessons and we even have a whole website dedicated to it. In house we have some long time SUP'ers including Brent, Anderson and Craig. 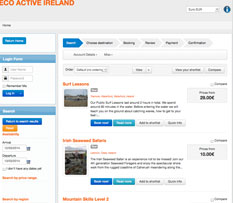 EcoActiveIreland.com is an exciting new online booking system for Eco related outdoor events such as Foraging, Bushcraft, Cider Making, Craft Making, Cooking and Self Sufficiency Skills, Survival Skills and more! We offer a wide variety of fun and healing exercise programmes in Waterford, Ireland. We are the only service in the sunny south east providing the relaxing, soothing innovation of hydrotherapy combined with the fun aquatic exercise programmes. Who Is Booking Buddha For?